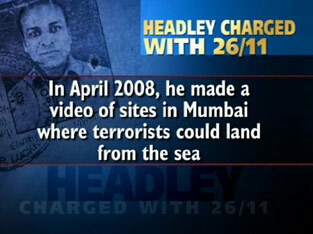 Among the terrorist activities to which David Coleman Headley admitted were extensive involvement in planning the commando-style November 2008 attacks on hotels and other commercial targets in Mumbai, and an alleged plot for a suicide attack on the Danish newspaper Jyllands-Posten, which published cartoons of the Prophet Muhammad. A U.S. citizen of Pakistani extraction pleaded guilty on Thursday to a dozen federal terrorism charges, including an alleged plot to decapitate Danish journalists and throw their heads out of windows. ”The most lurid new revelations relate to the Danish newspaper plot, which Headley began discussing with a member of the Pakistani extremist group Lashkar-e-Taiba in late 2008. According to the agreement, Headley learned during his meetings with the unnamed militant that one of the plot’s instigators was in contact with a well-known terrorist operative known as Ilyas Kashmiri, who is said to have close ties to Al Qaeda. In initial talks about the Denmark plan, Headley suggested that the attackers should focus on those presumed to be most responsible for publishing the contentious cartoon: the newspaper’s editor and the cartoonist. But Headley’s Lashkar contact rejected that advice. “All Danes are responsible,” he said. In January 2009 Headley traveled to Denmark, where he managed to get himself inside both the Copenhagen and Aarhus offices of Jyllands-Posten on the pretext of wanting to place an ad, according to his plea agreement. He shot extensive videos of the Copenhagen office and cased the surroundings of the office in Aarhus. That May, Headley again met in Waziristan with Kashmiri, who spoke of having met with a European contact who could provide money, weapons, and personnel for the attack. Kashmiri indicated that he wanted the operation to be a suicide attack and that the attackers should prepare “martyrdom videos” before setting off on their mission. He also declared that “the attackers should behead captives and throw their heads out of the newspaper building in order to heighten the response from Danish authorities.” According to the plea agreement, Kashmiri told Headley that “elders”—meaning leaders of Al Qaeda, as Headley understood him—wanted the attack to proceed as soon as possible.